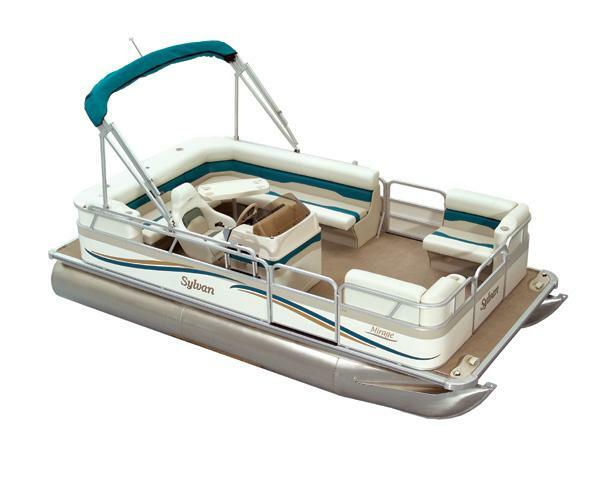 Boat Description The Sylvan 818 Mirage CR features roomy seating arrangements including a high-back helm chair with slider, couches, table with cup holders, and eight-foot bimini top. The Mirage also carries a lifetime warranty on the tubes, deck, and all-aluminum transom, plus a 5-year warranty on the carpeting. For added comfort and safety there are custom molded consoles, rotocast furniture bases, Posi-Lock gate latches, and 30-inch gates.